We bring over 30 years of woodworking experience, a love of design, and skills necessary to achieve the look and level of quality you desire. Our passion for what we do shows in the connection we make with our clients and in the details of our finished pieces. Whether it's custom cabinetry, built-ins, or a specialized request, we use both traditional and cutting-edge woodworking techniques to make one-of-a-kind pieces that function the way you envision. From traditional shaker to high-tech net- zero contemporary kitchens we design comfortable, livable, practical and functional spaces for families of all shapes and sizes. Streamline your life by having a place for everything. We have extensive experience working with architects and designers to create beautiful, functional storage solutions for today's fast paced lifestyle. 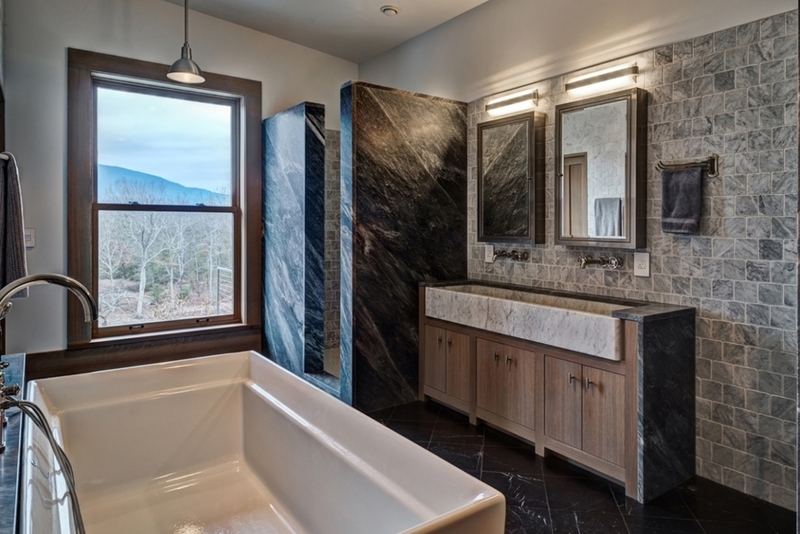 Whether your bathroom is a luxurious spa or a cozy farmhouse half bath we build the most beautiful, functional and thoughtful spaces for you and your family to enjoy for decades to come.